Getting there: Take US-23 north out of Ann Arbor or south out of Brighton to the 6 Mile Road exit, turn West. What's there: The park says the 2 mile trail is groomed but does not specify skate or classic. Directions: Exiting off U.S. 23, take Exit 50 (Six Mile Road), follow the brown Independence Lake signs. Go west to where Six Mile Road dead ends. Proceed left on Whitmore Lake Rd. Take the first right onto Kearney Rd. Follow Kearney Rd. to Jennings Rd. (first stop sign). Go left on Jennings Rd. for approximately one mile. 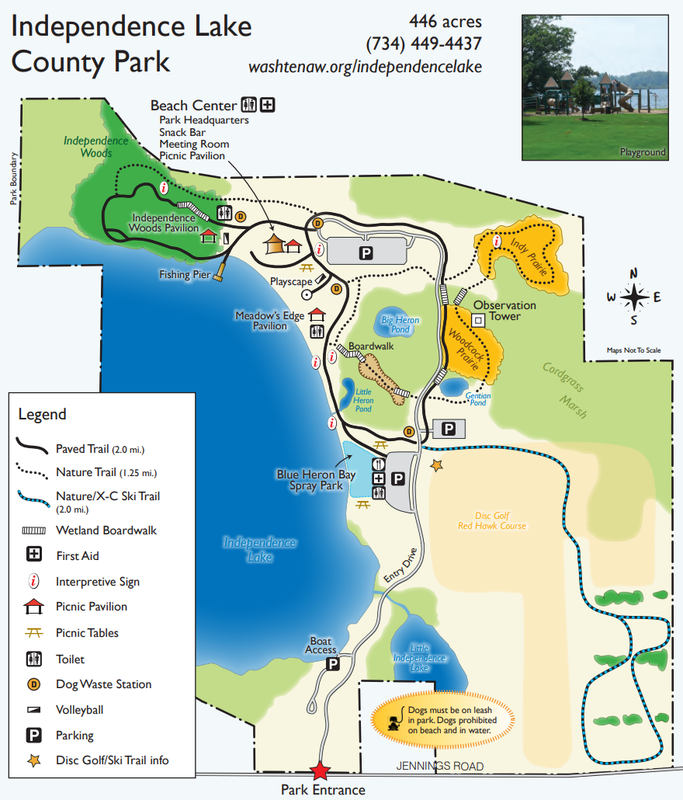 Independence Lake County Park is on the right hand side.